Watched. The humiliation of being watched. They are staring at my protoypical relative from below! He looks like he is in the cross hairs of a police viewfinder! Ha. Isn’t that what was playing out in those days of protesting in the streets against the Global Financial Crisis they called it. Yes it looks like what was called Occupy New York. I remember the image now, in my data-album, that pixellated history before SuperHD real got to grips with our GPS eyes. 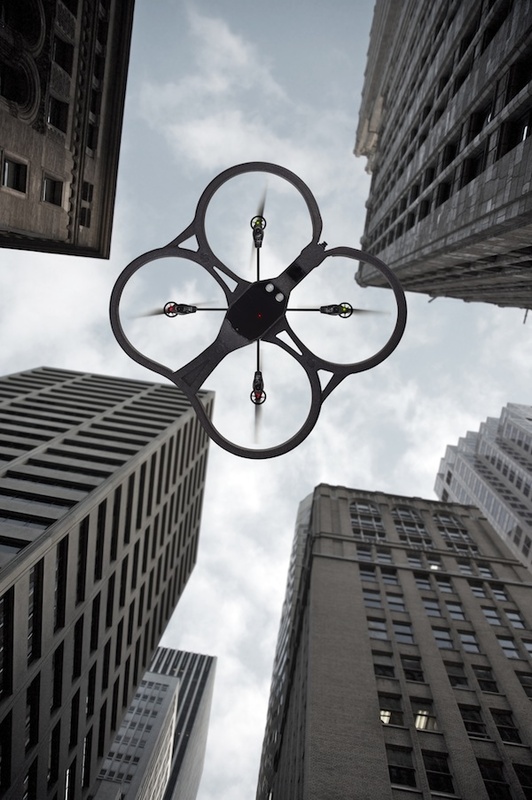 The way the protesters used these toy like copters to monitor the police. The police in urban flight! The iPhone holders on the ground getting live video feed, able to send it on. That was in the First Age of Social Media. 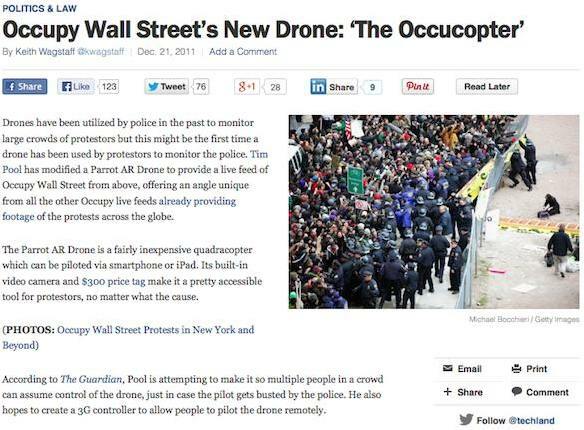 Parrot advert; Screengrab from TIME website, article and image on Occupy movement protesters own use of drone to film police actions in NYC, USA. 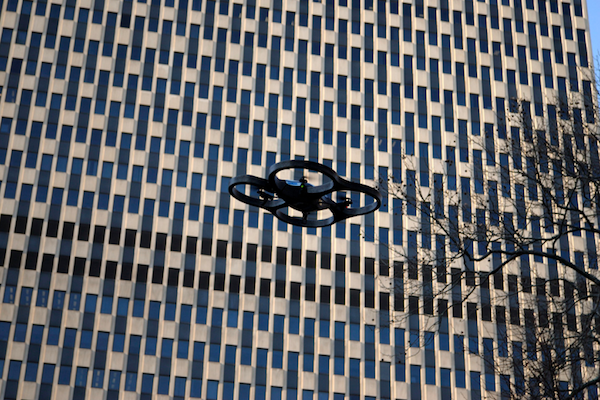 Occucopter above Foley Square, NYC (Stanley Rogouski).